This application assumes use of the Gregorian calendar and only works correctly for dates on or after October 15, 1582. For more on Julian Dates, click here. 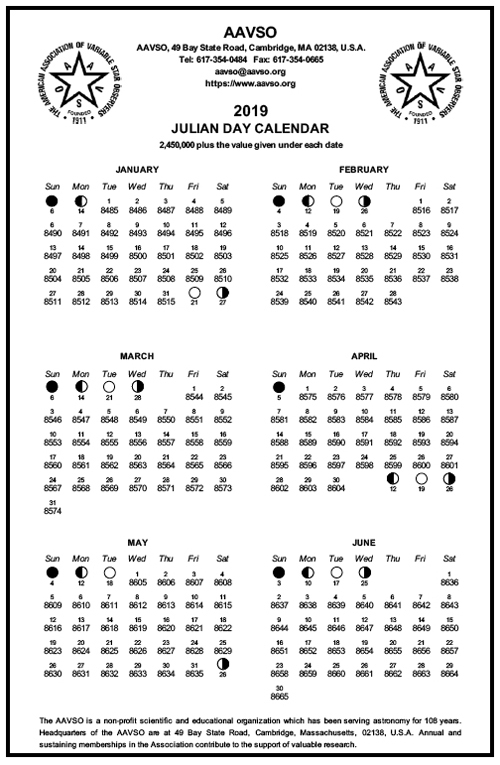 AAVSO produced JD Calendars give the last four digits of the Julian Day for each day of every month for a year. The months January-June are on one page while July–December are on the second page. 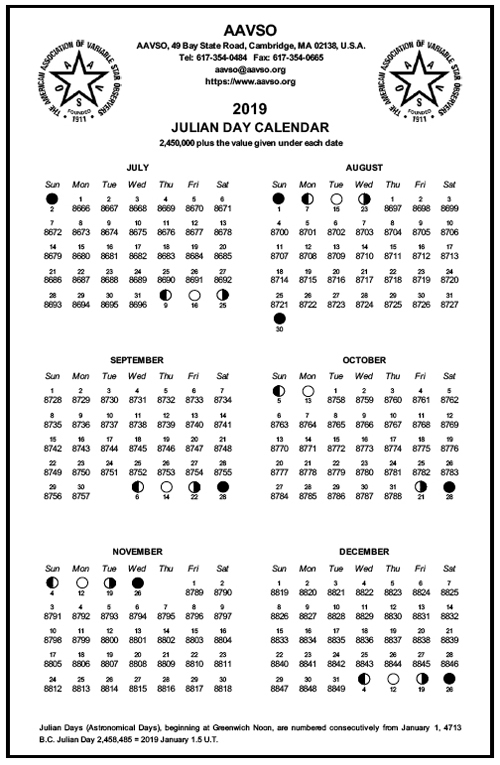 For the complete JD, add 2,450,000 to the four digit value given in the calendar for the Astronomical Day of your observation. 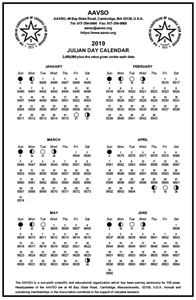 Click on a year in the left column to download a 2-page .pdf version of the calendar for that year. 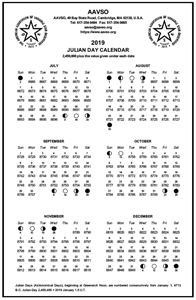 The calendar for the 2019 is shown below. Click on the image to get a bigger version. If you need to download the Acrobat plug-in to read a pdf file, you may download it for free from the Adobe website.